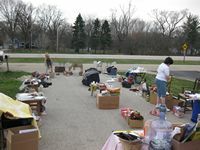 This past Friday and Saturday, Jennifer Wyrick, one of Feral Fixer's volunteers, held a Garage Sale. Proceeds of this sale will go to both Feral Fixers and the Friends of DuPage County Animal Care & Control. I visited her house on Saturday afternoon to see how she was doing. It looks like the Garage Sale was a tremendous success! Jennifer told me that her garage and the driveway in front of it was just packed with her old items and items donated from many other people. She was able to sell most of it which made her quite happy of course. Not only did she raise a lot of money for Feral Fixers, it means that she also has very little stuff left to dispose of! 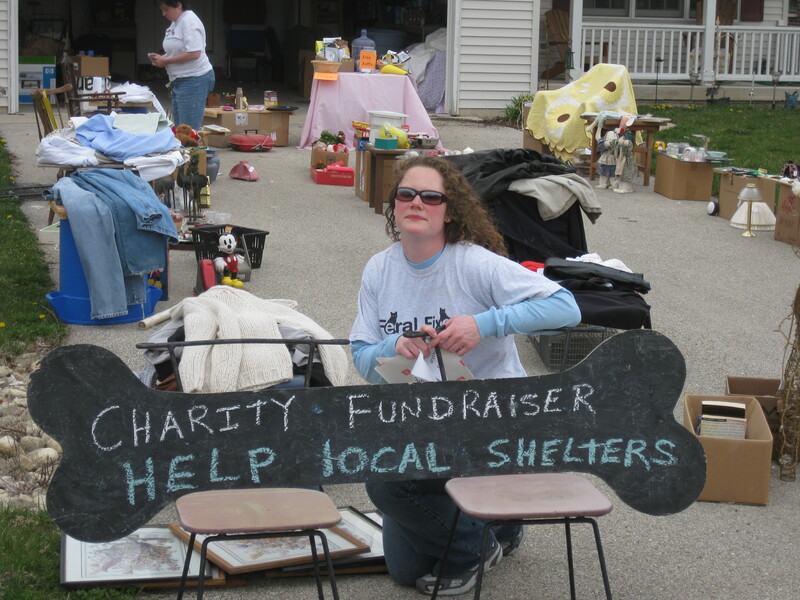 I am happy to report that Jennifer raised well over $200 for Feral Fixers! This money will go towards our ongoing TNR efforts in DuPage County. Thanks Jennifer! We and the cat caretakers greatly appreciate it! (The topmost picture is of Jennifer, sitting with one of her advertising signs. The second picture is looking out from Jennifer's Garage. You can see that things have been picked pretty clean. If you click on either picture, you will be able to see a full-size version of it. Thanks again Jennifer!